The Colony Grill Room opened at The Beaumont Hotel back in 2014 as part of Corbin and King’s (The Wolseley etc) first foray into the hotel business. They recently sold the property and the restaurant but, as not much else as changed, it’s still a Corbin and King restaurant at heart. We went by recently to see how it was doing under new ownership and were pleased to see an updated refurbished bar area – it’s a great place to come for cocktails. 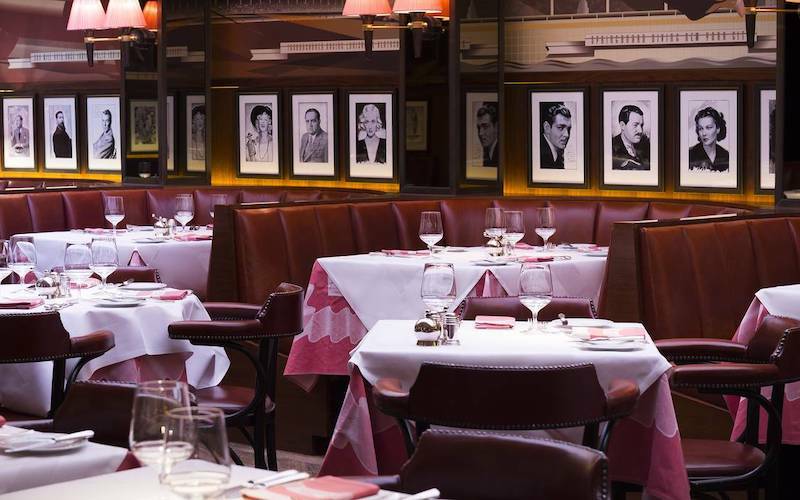 The dining room at the back is very much unchanged and still has a slight feel of stepping back in time (in a good way) with dark wood panels, red leather booths and Art Deco stylings. The food is still hearty American classics – think burgers and juicy steaks straight of the grill. We kicked off with an excellent chicken liver pate, served with two big slices of sweet warm brioche. The extra bit of brioche we were left with came in handy for our second starter, a rich creamy lobster bisque which we soaked up every last bit of. 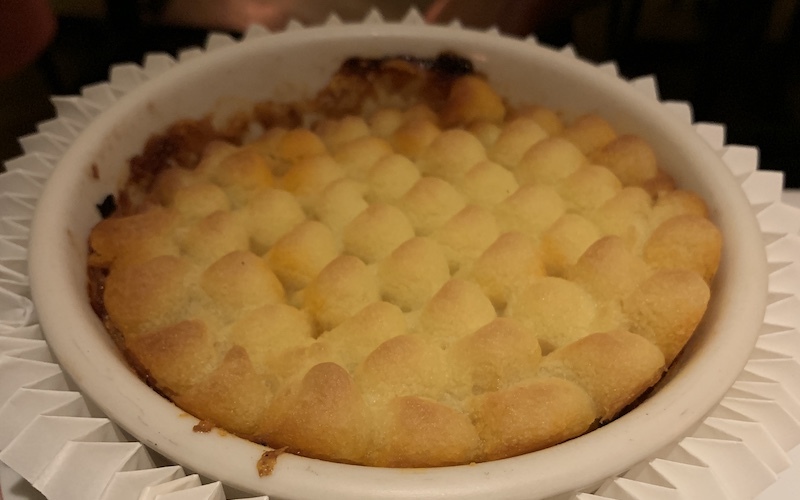 You’d be hard pressed to find a better looking shepherd’s pie in London than the one at Colony Grill. Served in the dish straight from the oven, the meaty filling is topped with perfectly piped blobs of mashed potato. Our other main, the salt baked sea bass, was a bit of a looker too. Bought to the table still whole with its salt crust on, it was returned a few minutes later having been filleted and plated up with a fresh fennel salad. The cooking method really worked here with the fish perfectly seasoned all the way through. The Colony Grill might be old school but it’s certainly not afraid of having a bit of fun, no more so than when it comes to desserts. 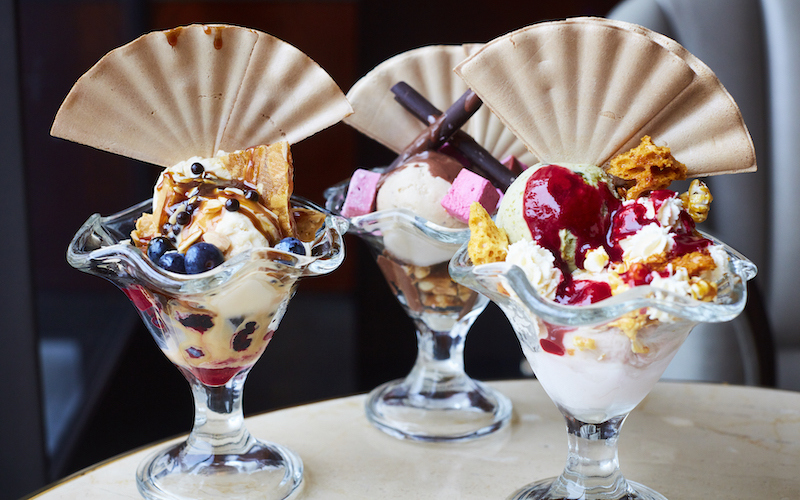 As well as the standard menu items (including an excellent chocolate tart) you also have the option to ‘build your own sundae’. Using a special note pad you tick which ice creams you want, then the toppings, and finally the sauces. The fun here is to make your own creation of course but if you’re interested we we can highly recommend a mix of chocolate and salted caramel ice creams, topped with honeycomb and peanut brittle, and finished off with hot chocolate sauce. It will almost certainly leave you in need of a lie down but you’d be crazy to miss it.